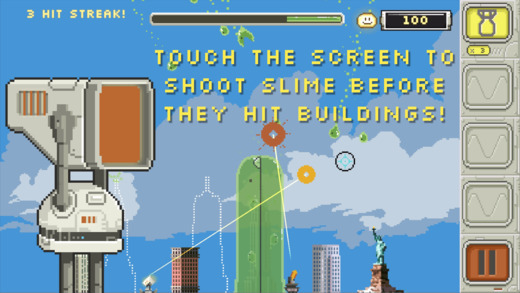 Home #ADDICTIVE Slime-ball-istic – Go Ballistic! & Save Earth! Slime-ball-istic – Go Ballistic! & Save Earth! 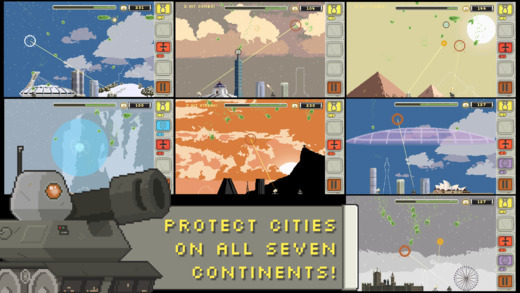 Although super cute, and comparable to a plague of cement eating locusts, your mission in this game is to blast these little green blobs out of the sky using 2 portable missile-firing robots. 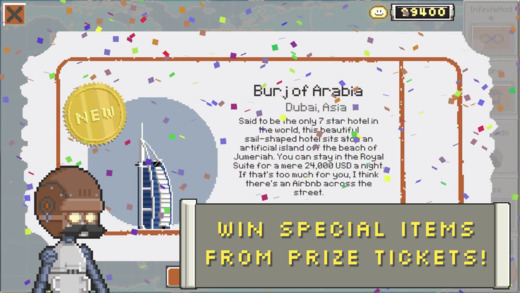 The game is played by tapping on the screen of your device to aim, fire, and detonate a missile at whatever location in the sky you choose. 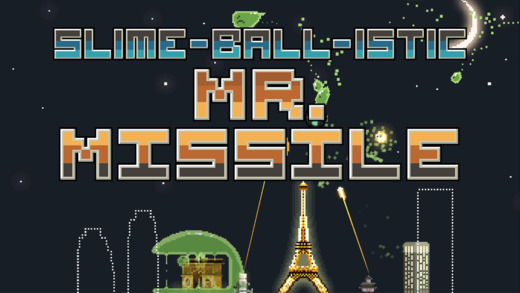 (Super simple) Unlike most shooter games that require you to actually hit your target, Slime-ball-istic only requires your missiles explosion blast to hit your target making playing the game quite a bit easier. 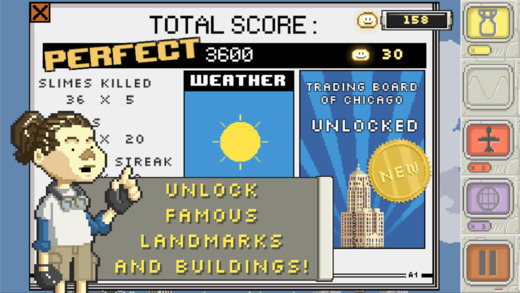 Set in iconic locations around the world, recreated with an awesome set of high-end pixel graphics, this game is both good looking, simple and easy to play, what more could you want from an 80’s retro missile defense game? Although we can’t offer you a slimy pet with the ability to devour an entire planet, we can offer you a game where you and your 2 trusty missile launching friends defend earth from these same infamous creatures?